A weekend mosaic course looking at the paintings of Van Gogh curently exhibited at the Tate Britain EY exhibition. 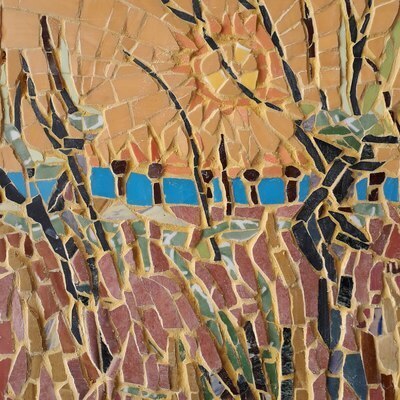 Using patterned crockery and glazed ceramic tiles, tuition will be given to create a square mosaic in Van Gogh's style. Please see https://www.lsomosaic.com/short-courses/van-gogh-jul19 for further details or visit my own website www.totlandmosaics.co.uk.